47 Money Maker - Cooper Marine, Inc. 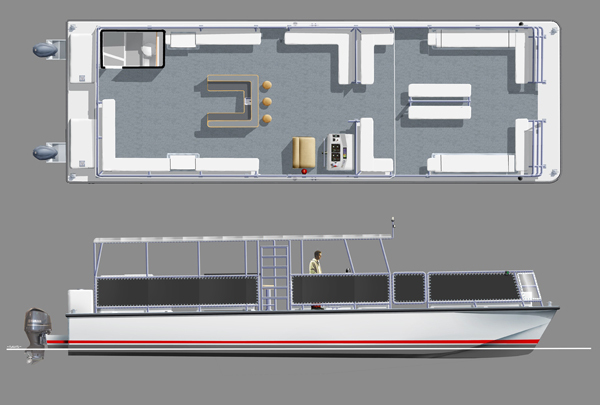 The 47' Money Maker by Ron Cooper Catamarans is the new standard for excursion catamarans. With her 15.5' beam she is roomy, stable offshore and is truckable. 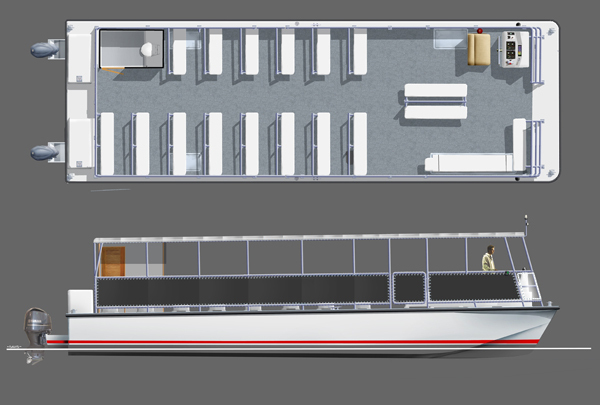 Custom layouts are available for dive, ferry, snorkel, excursion, or glass bottom applications. These vessels are at home offshore or in the flats. U.S.C.G. certification is available for 49 passengers.